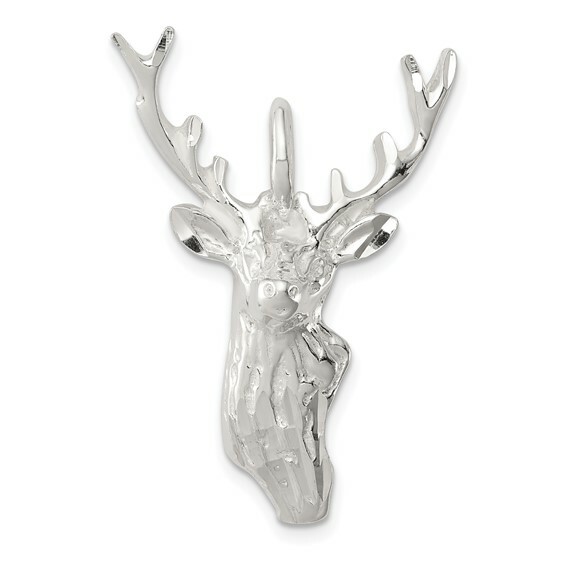 Sterling Silver Diamond Cut Bust of Buck Pendant. Weight: 4.28 grams. Measures 1 3/16 inch tall by 15/16 inch wide.